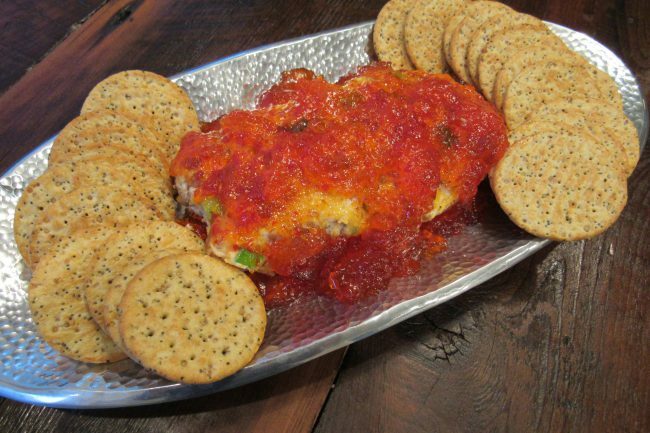 This delicious appetizer is found in River Road Recipes IV: Warm Welcomes on page 170 and is very easy to make. Commercially prepared red pepper jelly can be purchased in just about any grocery store or gourmet food store and is typically found on the same aisle as other jellies and jams. Gather kitchen tools and ingredients. Spray the 1-quart loaf pan with nonstick cooking spray. Line the prepared pan with plastic wrap, allowing enough overhang to cover the pâté (see the picture under step 4 for example) and spray the plastic wrap with nonstick cooking spray. 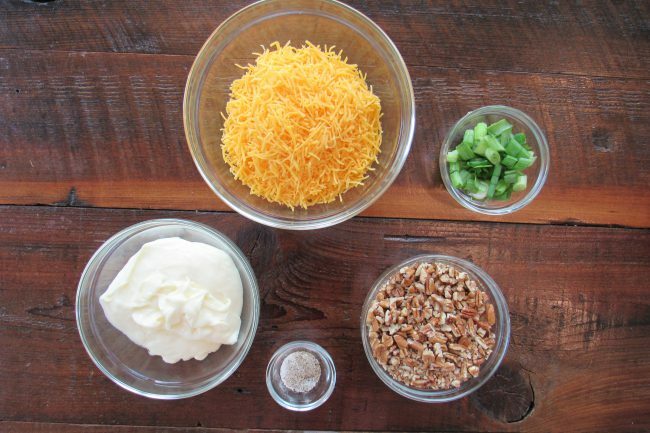 Using a chopping knife and a cutting board, roughly chop one cup of pecans or use a food processor. Chop the green onions. 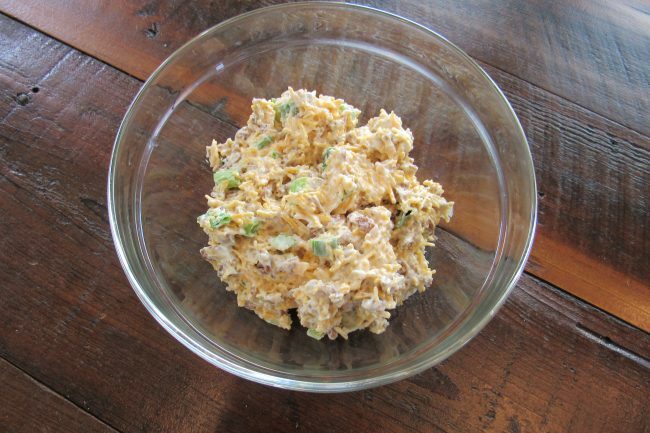 Mix the cheese, mayonnaise, pecans, green onions, salt, and pepper in a bowl. 4. 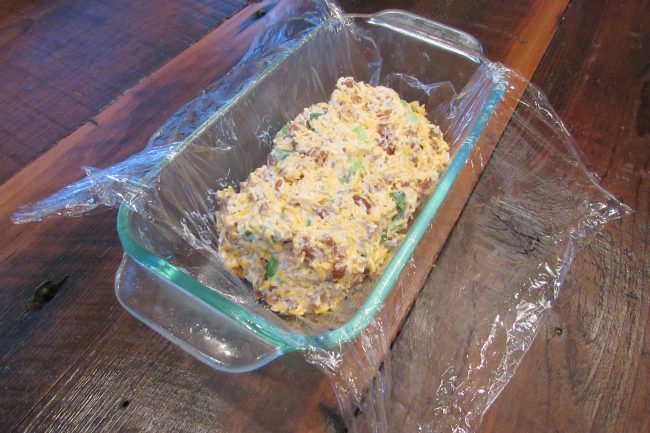 Pat the cheese mixture into the prepared pan and cover with the plastic wrap. Chill, covered, for 3 to 10 hours. 5. Invert the pâté onto a serving platter and discard the plastic wrap. Spread the top of the pâté with the pepper jelly, allowing some of the jelly to drizzle down the sides. Serve with the whole wheat crackers. This recipe is so delicious. I make it a lot during the holidays. Every time I make it for an event people beg me to make it again.